Dr. Kassabian graduated from the University of Montreal in Montreal, Quebec, in 1985 after brief clerkships at McGill University and the Massachusetts General Hospital of Harvard Medical School. He completed his urologic residency at the University of Montreal in 1990 and also completed additional training as a research fellow in urologic oncology at Baylor College of Medicine in Houston, Texas in 1991. He later served as clinical instructor of urologic oncology in 1992. Prior to joining Georgia Urology, he was assistant professor of surgery at Emory University. He practiced urologic oncology at Emory University Hospital and each of its affiliated hospitals, including Crawford Long Hospital. He was also Chief of Urology at the V.A. Hospital in Atlanta and served on several committees, including the Cancer Committee and the Peer Review Committee. During his years in academic medicine, Dr. Kassabian was dedicated to training residents and medical students in urology and was honored with the Teacher of the Year award at Emory for his contribution to excellence in education. Dr. Kassabian has written numerous publications, articles, and book chapters, has made presentations at both national and international meetings, and has lectured extensively on prostate cancer and prostate diseases. 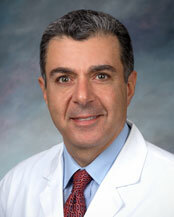 Dr. Kassabian performs clinical research, especially in prostate disease. He is also interested in urinary diversion and percutaneous surgery. In addition to his fellowship training in urologic oncology, he is certified in microsurgical techniques. Dr. Kassabian is a member of the American Urologic Association, the southeastern section of the American Urology Association, the Canadian Urological Association, Atlanta Urological Society, and the Society of Surgical Oncology.